THE team at Business News Australia has compiled a list of some of Brisbane's brightest young business minds, highlighting the achievements of the city's most bold and innovative business founders. This batch of entrepreneurs are flourishing across a diverse range of industries, from retail services to content creation. MATHEW Stillone keeps going from strength to strength with his quality range of natural and nutritious supplements. 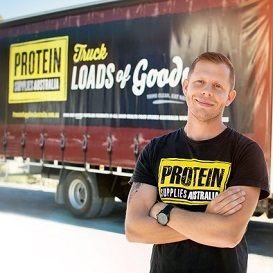 Financially, Protein Supplies Australia has grown 42 per cent in the past three years, and now stocks in 1500 stores across Australia. According to Stillone, it is only the beginning of the spike, with the company locking down deals in the year ahead with a number of new health food and supermarket chains, both nationally and overseas. "I'm venturing to America in March to look into a new market there," says Stillone. "We have an exciting opportunity to potentially create a whole new business, and our export market in particular next year is going to be big. "We are trying to find the right distributors to work with, and we want to tackle the Asian market as well." Stillone came out on top of an emotionally and physically draining experience with illness in 2015. 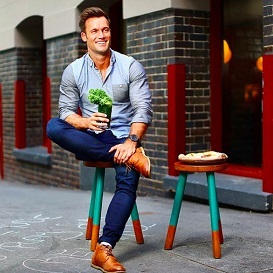 He now sports a fresh outlook on life and a new vigour for kicking major goals through his business. HE'S still a young gun, but Tim Johnson is already a hospitality veteran. Starting at McDonald's at 13, his last role was the general manager of Fonda in Melbourne, before he took a leap of faith at the old Corbett Chambers and started up his Corbett & Claude pizza chain in Brisbane and now Sydney. In the space of only 12 months, Johnson managed to launch two Corbett & Claude locations in Brisbane and Sydney, as well as a further two venues in Brisbane and the Gold Coast through his Latin street food brand Comuna Cantina. Bearing the namesake of the heritage-listed building in which it was founded, Corbett & Claude is a business borne from history. "In 1906 the first Corbett Chambers started off as a bar and eating hall for people to come together to form friendships and share stories," says Johnson. "We loved that history, so we created a venue based around it." Johnson will continue serving up the goods through Corbett & Claude and Comuna Cantina in the year ahead, as he scopes out other locations for potential future restaurants. PERSONAL injury law firm Kemp Law has grown from a startup to a $2 million turnover in two years. Michael Kemp always knew he had it in him to succeed in business, leaving his equity partnership at a large law firm to run his own company. When the seasoned personal injury lawyer started Kemp Law he was dealing with around 30 clients. Now, that number is upwards of 500. He is proud to be holding his own against many of the industry's biggest players. "Our firm has to compete with the big firms like Slater & Gordon and Shine, firms who spend upwards of $30 million a year on marketing, and at the moment I think we are doing very well considering the size difference," says Kemp. "I put that down to the personal touch, all of our clients get to know us well as we build a relationship with them." Kemp currently has 10 employees on the payroll and regularly commits his time and resources to charity partnerships with the Smith Family and Think Pink. MATT Holme's passion for the internet goes back to his teenage years, when he made a FIFA website that earned him a job at EA Sports in Canada. Now, he's building on the success of his subscription-based digital agency MyWork with new venture: Bold Platform. Holme has spun out the management system that has allowed MyWork to flourish, and will offer access, on a subscription basis, for web developers all over the world. "What we have done over the past eight years is create an internal platform structured to create a pipeline from the very first interaction, the lead onboarding, to the client management and payment system," says Holme. Holme has resisted the trend to outsource work, and employs all 22 staff. 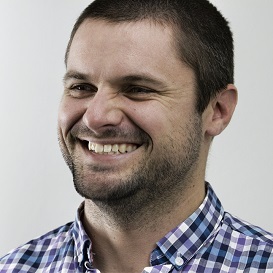 "When it comes to building a website for Australian business, you have to have that cultural understanding. There are some very talented designers in other countries, but if they are not familiar with the local country it is difficult to build a quality website," he says. Holme describes the web design business as being on a sustainable growth curve, but with the upcoming launch of Bold Platform, "it will open us up to the rest of the world". IN 2007, Zachary Rook borrowed $3000 and bought a truck. In 12 months, he had four trucks. Now, Your Local Movers is a multimillion dollar industry leader with 1000s of clients. It all started after Rook witnessed a relative lose everything through another removalist company. In fact, he was so moved that he quit his day job running breakdancing and hip-hop events to launch the business. Even though he wasn't an industry veteran prior to starting out, Rook soon discovered it was his passion for customer service, rather than his skill set, which counted the most. 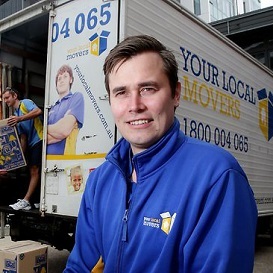 "Although I didn't have much experience as a removalist, I had plenty of experience delivering high quality service, which is so important particularly in an industry where you are trusted with the possessions of others," says Rook. Rook recently purchased a business on the Sunshine Coast, and is also tentatively looking towards southern markets ahead of the 2018 Gold Coast Commonwealth Games. He has helped generate a significant 35 per cent growth for the company in the past 12 months. 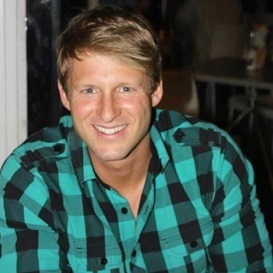 IN just 18 months, Daniel Fuchs has signed up 41 franchisees with his business Waves DETAIL PRO. However, this is no overnight success story. Fuchs immersed himself in all things car detailing for 10 years before emerging with a plan for his own premium operation. It has given him the knowledge and authority to expand his business in a franchise system, knowing that it is of the highest standard. 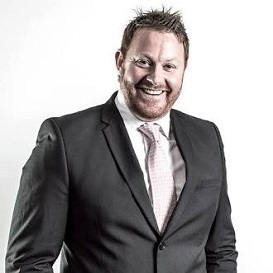 "We are a mobile services franchise company, offering world-class training and support to our franchisees, who then delivery world-class detailing and protection services to the masses," says Fuchs. "Such services were once reserved for high-end workshops, but as technology improved, so has the opportunity in the marketplace." The company uses the best quality tools available, at a competitive price. 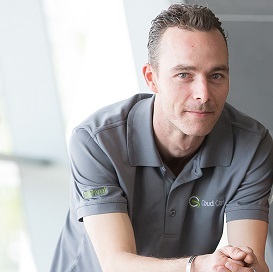 BRADEN Voigt has gained 200 government and corporate customers since releasing SixPivot released its first product, Cloud Control, in December 2015. "It is a one-of-a-kind cloud analytics system that uses artificial intelligence to aggregate the multiple cloud providers, pulling it all together to help he customer understand what they are doing within the cloud ecosystem," explains Voigt. 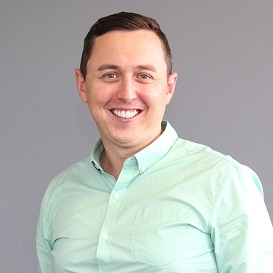 Voigt, who formerly worked at Brisbane listed company Data#3, is the technical brain behind SixPivot, which is shaping up as the city's next tech success story. SixPivot's quick success has earned Voigt this year's Startup of the Year award. THE 'aha moment' hit when the delivery man wouldn't carry Tara-Jay Rimmer's stand-up paddleboard to her second-floor unit. Following that experience, both Rimmer and business partner Lee Hovey saw a big market in people who were house proud and wanted their items handled with care. They launched The Van That Can in 2013, and have since become removalist industry leaders with 21 full time staff in Australia, an offshore team in the Philippines and expansion plans already in motion across the UK. Going the extra mile with things like being paperless has paid off, for The Van That Can to secure a $6 million distribution contract with a high-end retailer. Even though they have already made a splash in overseas markets, Rimmer and Hovey believe that Brisbane continues to be the ideal central hub for their business. "The city has really shifted in the past five years where Brisbane is becoming very metropolitan and picking up on new trends quickly," says Rimmer. "We are going to continue growing in Brisbane, and building a strong market throughout the rest of Queensland." PRENDI started as a traditional signage company and now delivers a full-service digital solution. When he isn't pitching to Steve Wozniak, James Ingram is working with retailers to develop animated content that increases foot traffic. He is also pioneering Prendi's 'next-generation classroom,' the first of which took shape in All Saints Anglican School's 'Wonder Room' on the Gold Coast, a project met with international recognition and praise. "The school had a vision for how they wanted to teach their students, but they didn't want to be limited to the typical lecturing style of a whiteboard and PowerPoint presentations," says Ingram. "Prendi technology was something that allowed them to do that, creating an open-ended experience that wasn't force-feeding students." Prendi continues to push the digital boundary for organisations including Mecca Maxima, Rebel and Brisbane City Council. NADINE Bates and Kristen Souvlis have solved a puzzle many have been trying to work out since they were little kids. They know how to get to Sesame Street. 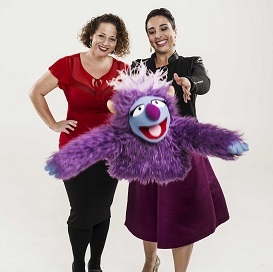 The duo got their breaks on Channel Ten, and are now turning their attention to pioneering a new wave of children's television. While they regularly produce content for leading broadcasters in Australia and overseas, they believe their crowning achievement is as simple as leaving a lasting impression. "Both of us recognise that children's content is a very effective and fast way to create change in the world," says Bates. "If you create content for a generation of humans who will grow up to be leaders, and you are showcasing positive examples of role modelling and pro-social behaviour for them, then you are doing possibly one of the most important jobs in the world." Both Bates and Souvlis have been working in the industry for more than a decade, as a writer and producer respectively.